Spices yield depth and dimension to many consumables. In The Spice Odyssey, I shared my family’s journey to America and their unfortunate loss of ethnic cooking and the accompanying spice. One of my greatest gains with marrying someone from South Asia has been an introduction to the vast world of spice. With each spice story, one will find a fascinating history lesson, better understanding of the origins of various ethnic dishes as well as the origins of many modern-day pharmaceuticals. More importantly, one hopes to have ideas for new flavors, new foods and new twists on old standards. Spices are not only culinary delights, but are credited with opening new trade routes connecting every corner of our now “small world.” History tells us that spice traders traversed arduous water and mountain routes waging war along the way, in order to bring spice into the hands of demanding buyers. The spice crave was both an artistic movement, bringing out the inventive side of food, and a major source of medicine, used to heal a variety of ailments. Spices were a major form of commerce and created vast wealth for many civilizations as spices such as pepper, cardamom, and cinnamon were major market trades much like gold, silk, and cotton. 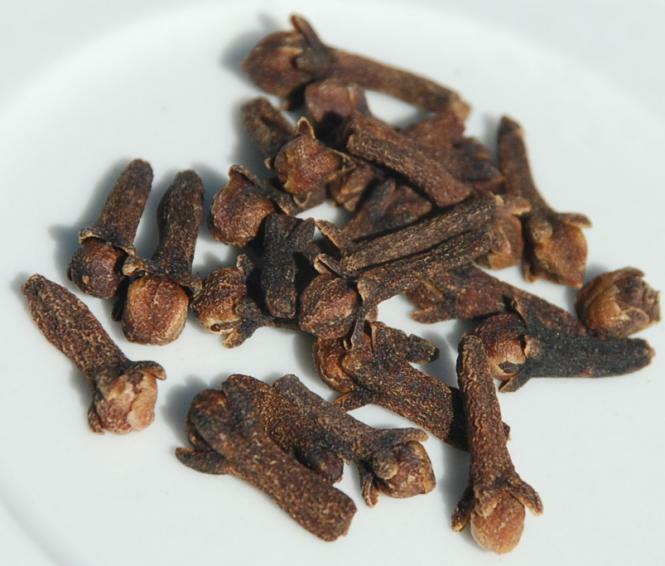 Clove was also a hot commodity, connecting the Maluku “Spice” Islands of Indonesia to Egyptians, Chinese, and European buyers. Cloves are reddish-black dried flower buds of the evergreen tree native to Indonesia. Once a Spice Island sanctity, cloves are now collected from India, Madagascar, Pakistan, and Sri Lanka. Legend has is that a powerful 3rd Century BC Chinese ruler of the Han Dynasty demanded that all visitors first chew clove as a means of freshening their breath; visitors with foul breath would not be given the opportunity to meet. “Clavus,” the latin root word for nail, is the origins of the name “clove.” This name sufficiently describes the clove shape which looks much like a nail or tack. Cloves have a very intense aroma and are warm and sweet in flavor. The oil found within the clove stem is mildly antiseptic and is often used in dentistry to help alleviate infections and aches within the mouth. Known for their ability to “warm” the body, cloves are used in a number of Chinese medicines for aiding with issues of digestions such as morning sickness, vomiting, and upset stomach. In western cooking, cloves are often found within recipes which use nutmeg, ginger, and cinnamon such as pumpkin or sweet potato pies and sweet breads. Many European style meats such as a ham or lamb roast, will have cloves pushed into the meat much like a nail hammered into a piece of wood. Called “clavos de olor” in Mexico, the spice is often paired with cinnamon and cumin. Vietnamese soup (pho) often calls on cloves to be used in the broth. Very popular in Indian and Pakistani cooking, they are ground into the famed garam masala mix used in many common South Asian dishes such as chicken korma, biryani, and nihari. Whole cloves are used to make spiced chai tea, flavor white rice and to balance or sweeten curry-based dishes. 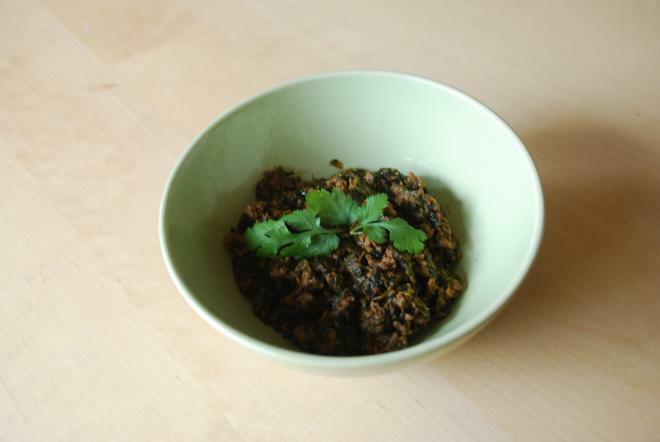 One of my favorite Pakistani comfort foods is qeema (pronounced kee-ma). 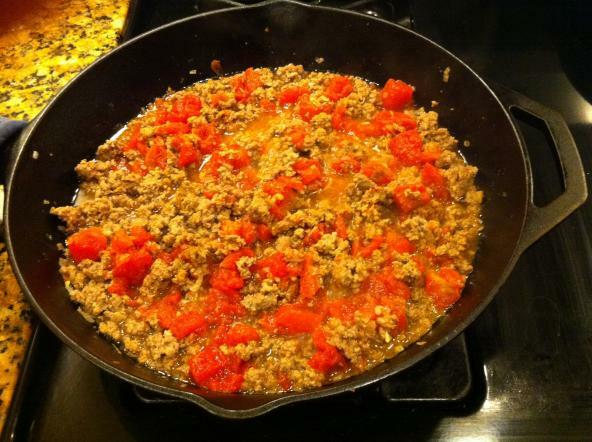 Qeema is ground meat with tomatoes, spices and a vegetable of choice served over a bed of rice. Qeema is one of the first Pakistani foods I learned to perfect and is usually loved by my American friends and family because of the use of familiar ingredients (ground beef paired with peas, spinach, or potato) and the fact that no spicy chilis are present, so the spice level can really be toned down to appease the more sensitive pallets. Heat pan, then add oil. Bring oil to med-high temperature. Add onions and saute until they begin to change color. Remove onion with a slotted spoon and set aside. Add meat and mince(chop) meat into very fine pieces using a heavy wooden spoon or something with a flat edge. Add garlic and ginger and all spices. If using potatoes, add them now. Saute until meat begins to brown. Add tomatoes and bring temperature down to a low medium. Cover and let simmer for about 20 mins or until tomatoes cook down. Whisk yogurt and water together and add to pan. Add vegetable (2 cups of peas or chopped spinach). For the last 3-5 minutes, bring to a very high heat and repeatedly pull the meat off the bottom of the pan and bring it back to the top allowing any remaining water to dissipate and the yogurt to give the meat a nice “browned” texture. Serve over rice and add chopped cilantro and ginger for a garnish. Leigh Ann Ahmad was dragged kicking and screaming to the Cities by her husband; having been born and bred in Cleveland, Ohio, she just could not fathom how colder could be better. Now, five years and two kids later, she cannot imagine a better place to play and thrive. She’s a reformed carb-aholic, wannabe writer, social justice advocate, book-club geek, veggie grower and local foods connoisseur. Her last article for SGT was: A Return to the Fields.